Sacramento is nestled in the center of more than 200 wineries. The diverse soil and terrain around Sacramento and the California Gold Country gives vintners a fertile ground to grow a wide array of wines. Whether you&apos;re looking to make a quick trip 15 minutes south of the city to Clarksburg for wine tasting or spend a day in the foothills of El Dorado or Amador, or heading south down the valley to Lodi, Sacramento is the hub of Northern California wine country. 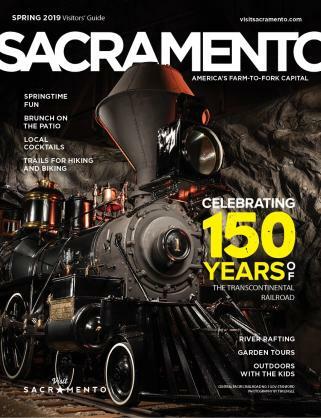 Check the Sacramento Wine Guide for a complete list of area wineries to scout the ones that best fit your tastes. Amador County is located 30 miles southeast of Sacramento, off historic Highway 49. Thirty-plus wineries grow more than 2,700 acres of grapes and produce some of the best Zinfandels in America. Amador&apos;s production of intensely flavored red wines can be attributed to its high percentage of old vines. About 600 acres of the county&apos;s vines are at least 60 years old. Several vineyards date to the 19th century. Views in the wineries encompass peaceful valleys, winding river canyons and the awesome Sierra Mountains. Calaveras County is located 60 miles southeast of Sacramento, off historic Highway 49. The region features some of the best and most affordable California vineyards. Get a taste of California&apos;s Historic Gold Country, where vineyard tours are more intimate, uncrowded and the California wines are exceptional. 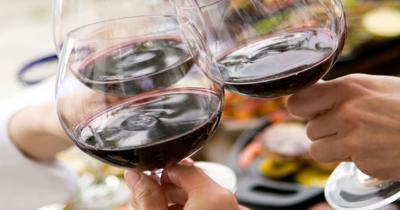 Featured wines include Syrah, Merlot and Cabernet Sauvignon. El Dorado County is located along Highway 50 approximately 40 miles east of Sacramento, with the town of Placerville at its center. The El Dorado Wineries are located amid the rolling foothills of the Sierra Nevada Mountains. The area is home to nearly 50 varieties of grapes and dozens of artisan winemakers who produce vibrantly flavorful, distinctly different wines. Vintners credit the mountain vineyards with their warm summers and cool nights. The El Dorado wine district is one of California&apos;s oldest wine-producing areas, having been established during the Gold Rush era. Lodi Wine Country is located 30 miles south of Sacramento, between highways 5 and 99. Lodi is best known for its full-bodied Old Vine Zinfandel wines and leads all other California wine districts in the production of Cabernet Sauvignon, Merlot, Chardonnay, Sauvignon Blanc and Viognier. The area enjoys a Mediterranean climate with warm, dry summers and cool, moist winters. Five major wineries are in the area and more than 70 boutique wineries that specialize in small lot, handmade wines. 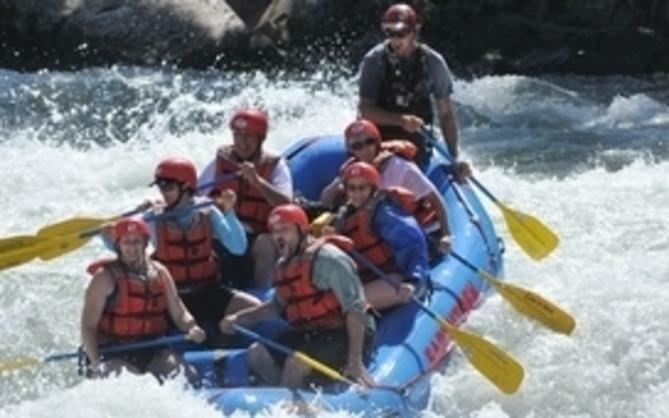 Nevada County (in the towns of Grass Valley and Nevada City, Calif.) sits between Sacramento and Reno/Lake Tahoe with easy access off Interstate 80. "Where the vines meet the pines" - home to more than 40 varieties of wine grapes, ranging from Chardonnay, Merlot, Zinfandel, and Cabernet Sauvignon to Cabernet Franc, Barbera, Sangiovese and Tempranillo. Grape growers and winemakers have learned to use the variety that nature gave them, and combine it with premiere winemaking techniques and styles to create some of California&apos;s most surprising award-winning wines. Placer County wineries are located along Interstate 80 approximately 50 miles east of Sacramento. New blends and unique varietals along with favorite Zins, Cabs and Chardonnays are found throughout Placer County&apos;s valleys and foothills. Combine sightseeing, picnicking and wine tasting into one enjoyable day in the Foothills. Pick up a Placer County Wineries and Vineyards Map at the California Welcome Center (Auburn), the Auburn Chamber of Commerce or the Auburn AAA office. 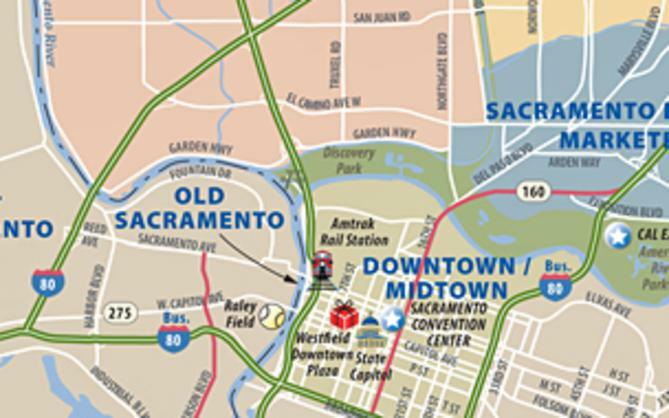 Sacramento is easily accessible, located at the intersection of Interstates 5 and 80, and Highway 50. Sacramento International Airport is just 10 minutes from the downtown core. An upsurge of fantastic wineries has quickly become the center of attention in California&apos;s capital. Sacramento is home to urban wineries, tasting rooms in the historic district and wine bars in the city&apos;s center (and the airport!). They all carry a wide selection of the best wines from the surrounding regions. Yolo County is just 15 minutes from Sacramento, intersecting interstates 5, 80 and 505. Yolo County&apos;s wineries feature a variety of wines including Chardonnay, Merlot, Old Vine Zinfandel, Pinot Noir, Petite Sirah Port and Tempranillo. The wineries and tasting rooms can be found along the Sacramento River Delta and into the surrounding countryside stretching to the Capay Valley. Yolo County embodies the natural beauty of verdant farmlands, quiet natural creekside trails and historic architecture and museums.